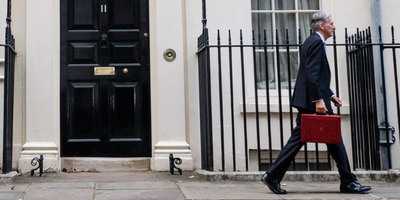 UK Chancellor Philip Hammond has set out his budget for the year ahead. However, analysis of the measures contained in the budget suggests the new spending is targeted squarely at wealthier voters. There are big tax cuts for Conservative-leaning voters while most areas of public spending remain unchanged. LONDON – There was widespread scepticism when Theresa May declared in her Conservative party conference speech earlier this month that austerity would come to an end. After eight years of a Conservative-led government which has made reducing public spending its central mission, few believed that there would be any significant shift towards a loosening of the public purse. 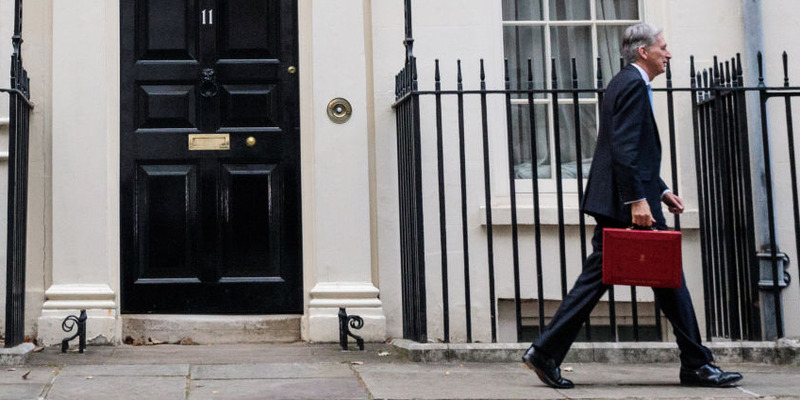 Philip Hammond’s budget speech on Monday suggests that cynicism wasn’t fully justified. 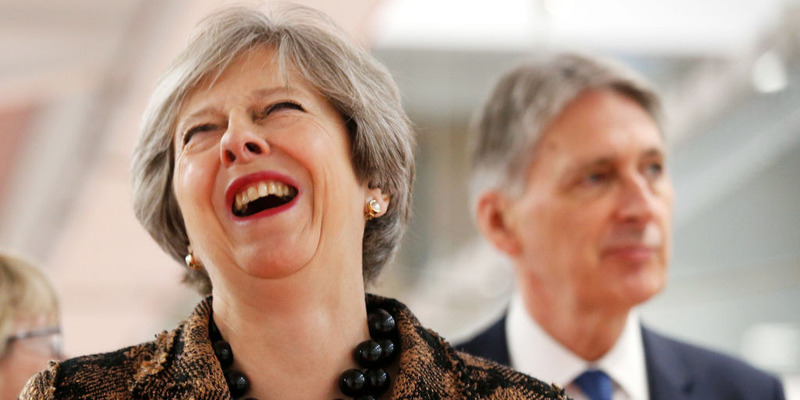 As the official spending watchdog, the Office for Budget Responsibility, confirmed yesterday, this government plans the biggest budgetary loosening in over a decade. However, those hoping that this loosening of spending rules would benefit those most in need of it are set to be disappointed. 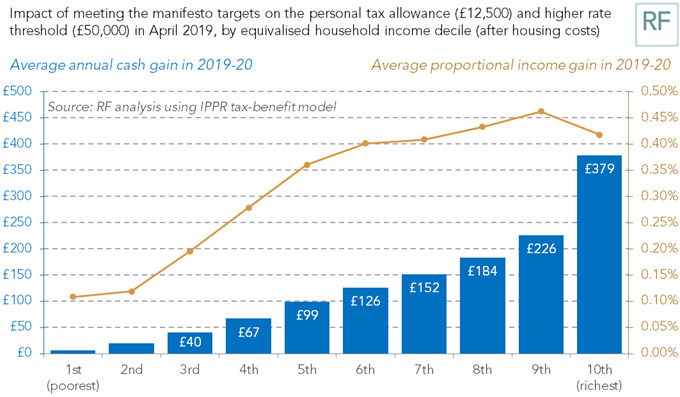 As this chart from the Resolution Foundation thinktank illustrates, the beneficiaries of Hammond’s spending boost are overwhelmingly those least in need of help from the government. Austerity is coming to an end. It’s just that it’s coming to an end primarily for richer, Conservative-leaning voters. The failure of this group of voters – predominantly made up of doctors, lawyers and other professionals – to vote Conservative at the last election was one of the main reasons why May lost her majority in parliament. Hammond’s decision to hand a big tax giveaway to this group a year earlier than originally planned has led some to speculate that an early election could be on the cards next year. The other big measure in the budget, to give a big cash boost to the NHS, also appears targeted at this same group of voters. While richer voters may not notice the effect of austerity on a daily basis in the same way that poorer voters do, one of the main areas where it does touch their lives is the NHS, which has become incredibly strained under the current government. Another area is the state of British schools, many of which now routinely send out begging letters to parents in order to pay for basic teaching materials such as books and stationery. Hammond’s announcement of an extra £400 million for what he described as “little extras” in schools barely touches the sides of this problem but it at least shows the government is now aware of the electoral danger it faces. However, once you go beyond these areas of public spending, the claim that “austerity is coming to an end” looks rather hollow. 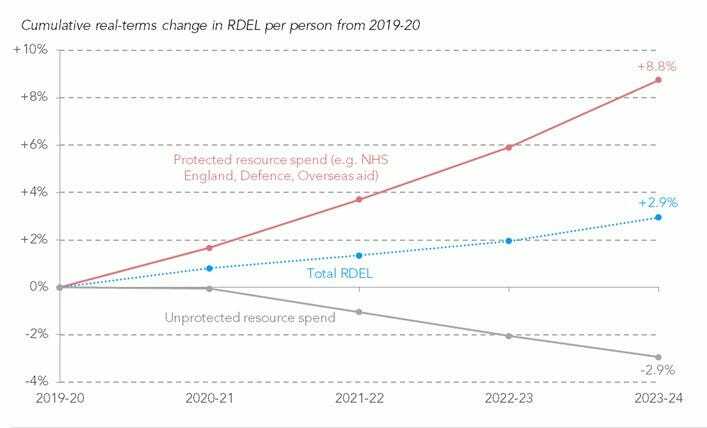 Indeed, as the Resolution Foundation also points out, once you strip out spending on health, spending in other departments is set to remain flat or even decline in real terms. 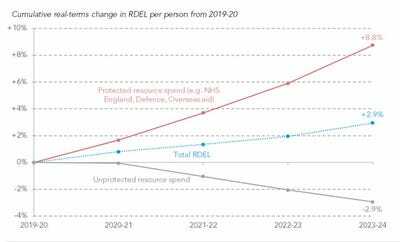 After 10 years in which departmental budgets have been cut by around 20%, the announcements set out on Monday will, therefore, do little to end austerity for the vast majority of public services. For most voters and in most areas of public life, austerity has not come to an end and is unlikely to for the foreseeable future. However, politics is often as much about tone and presentation as it is about objective reality, and the government will hope that the wealthier voters who turned away from the Conservatives at the last election will pocket their tax giveaway, read the announcements about giveaways for hospitals, schools and potholes, and feel comfortable about voting Conservative again.